Located on by the Taohua River, just outside the confines of the city of Guilin, is one of China’s hidden treasures — Reed Flute Cave. For centuries, locals used the hard reed stalks found near the entrance of the cave to craft woodwind instruments; however, no one realized what could be found inside. While markings on the walls date to the Tang Dynasty of the 8th century CE, the cave was not discovered by modern China until World War II. Some time in the 1940s, two soldiers seeking asylum from Japanese forces accidentally found their way into the cave, and soon others followed. Today, the floors and enormous ceilings of the cave, along with the many stalagtites and stalagmites, are illuminated by dozens of lights. 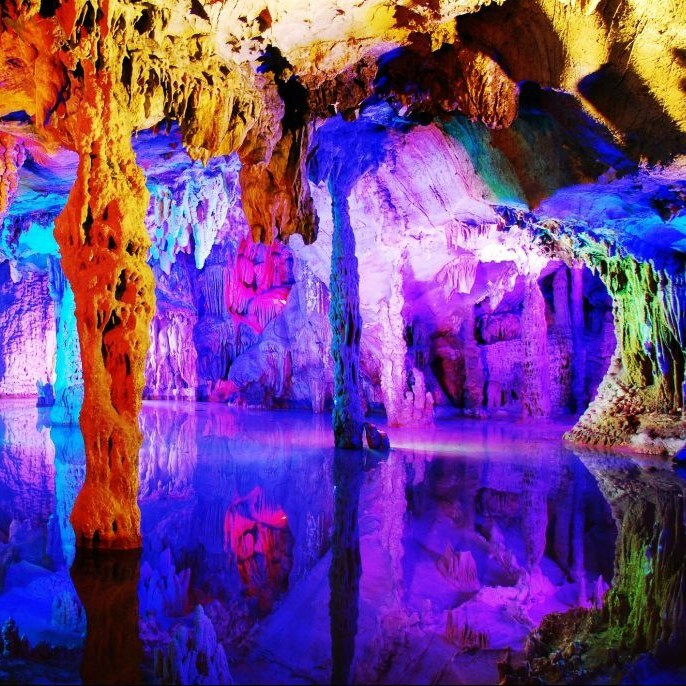 These lights shine an assortment of colors, turning the natural limestone formations into neon pieces of artwork. 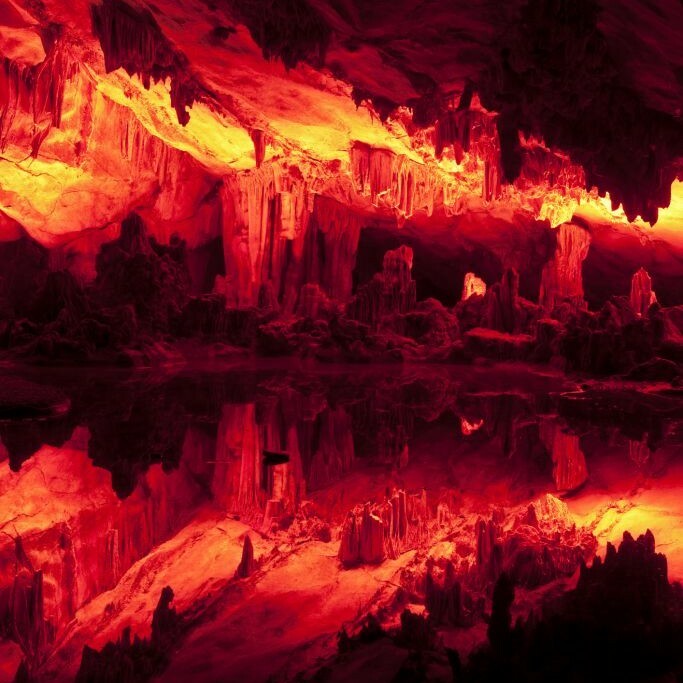 For those visiting the cave, there are tours that travel from Guilin into the caves. These tours through the nearly 800 feet of underground stone vault generally last around one hour in length, and are often part of larger tours of the greater Guilin area. Along the way, groups might encounter the nearby villages of Lujia, Fubo Hill and Elephant Hill.